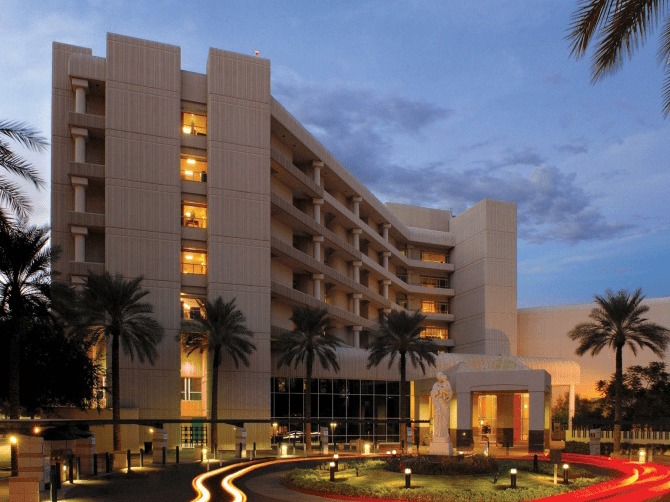 Serving as part of the Dignity Health medical system, which is the largest health system in the nation, St. Joseph’s Hospital and Medical Center is where Dr. Meger is proud to hold practicing privileges. St. Joseph’s provides special care and services in neurology and neurosurgery, advanced cancer treatment, lung disease and thoracic procedures, and offers an onsite trauma and emergency center. The facility is equipped with some of the latest technology in the field and employs medical staff who treats their patients with visible compassion and dedication. Dr. Meger fully trusts the facility as a safe space to perform some of his most advanced procedures.